It is common knowledge that the Supreme God of Law, the Celestial Sphere which Watches Over All, turns its protective gaze away for a small period during the Liturgical month* of Shocktober culminating in the month night known as Hallowe'en. Some claim that clerical magic ceases to function on these terrible nights, though others claim this preposterous and point to legend of this or that miracle being performed. His High Holiness, the Grand Imperial Pontiff Palpatinius VI has yet to weigh in on this debate, though it is rumored that the Emperor of the Realm of Man will let him know what he should think any day now. Less debatable, and more troublesome, is the increased presence of the walking dead, fairies, witches, and demons. During the period closest to Hallowe'en, these creatures may even be seen in broad daylight, though it is more common to see their strange, Satanic fires glittering in the dark between the trees or their hideous wings darkening the sinister brightness of the Demon Moon. Children are captured and replaced with changelings. Nuns are possessed by succubi. Witches make men slaves. Those who are natives of the Dark Country, or who have been there for an extended period of time, will find little unusual in these events, but no one can deny that their is a bizarre uptick in them around this time. As a result, several lords in the Dark Country, which as always seems more visited by diabolic and fairy activity than even mist-shrouded Karse, have instituted a system called the Hallowe'en Muster. During the early part of Shocktober, a number of able bodied freemen and peasants - usually one per ten households - must gather to train in order to perform guard duties during the period when the God of Law will be little help. Since this is one of the few times that peasants are allowed into such service - barring the increasingly common "exception" of similar crises occurring at other times of the year - the resulting forces are typically poorly equipped and trained. As such they are only meant to guard the town or village walls - and few villages last long in the Dark Country without a good set of walls. In addition to the muster, areas of the Dark Country and the West that still have a large number of secret practicing pagans, such as Karse, there are a large number of folk traditions meant to stave off the monsters during this time. The most prominent and widespread of these practices is that of setting small "potato skulls" outside your door at night. 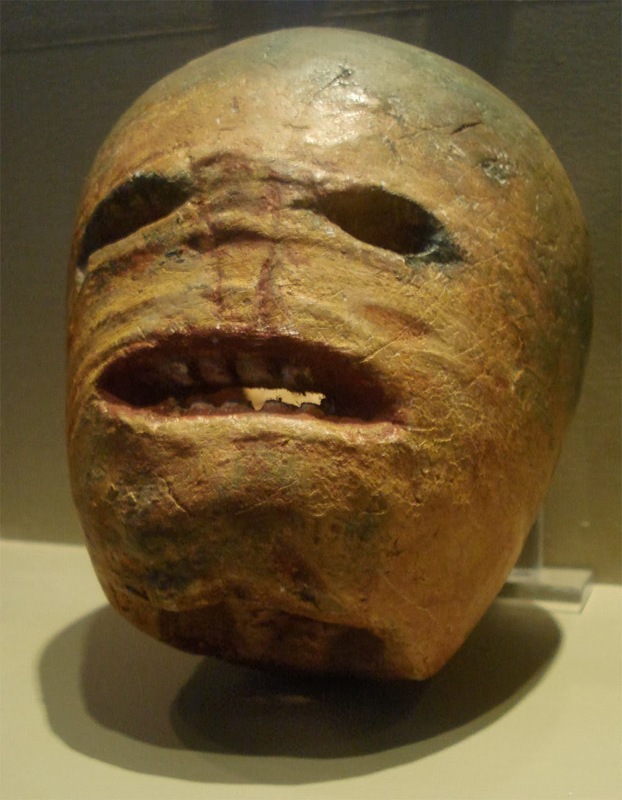 The origin of this practice is lost to time, but it is so common that many clergy have attached it to a Lawful saint they call Jack of the Lantern. This is simply a Church rubber stamp on a pagan ritual, a not uncommon practice even among the Western Church. Other pagan holdovers are considerably darker, and due to the enhanced freedom shown during this time by the Old Gods, some view it as a high holy day. These degenerates often hold lavish feasts** in preparation for a slew of base acts they will commit in the name of their false gods. Some, or perhaps all, even involve human sacrifice. *In the West and the Dark Country, two calendars are used to reckon time. The first is a more or less secular one used for planning the harvest and matches up more or less to that of our Earth. The second is a liturgical one based on the phases of the Demon Moon. One can only imagine how strange a lunar calendar is in a world where each night there is a 1 in 6 chance the moon is full. It is said that Zenopolitans and Novgovites use a system involving three calendars that also requires the use of an abacus and three eunuchs. This is highly doubtful. **Unfortunately for a number of pious peasants and nobles, these feasts are difficult to distinguish from the harvest feasts that sometimes occur at this same time. It is rumored that many who went to the pyre for simply enjoying the bounty the God of Law provided them.